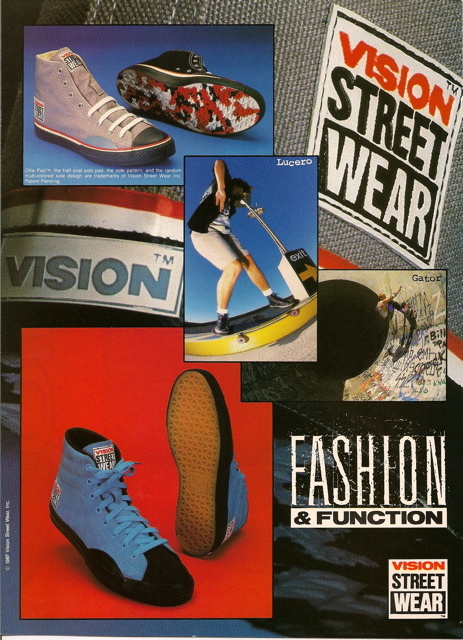 congratulations for the designing of the vision street wear model 14000 and 15000,i grew up loving those shoes and i wear them back in the 80´s and 90´s and still have more than 10 pairs of vision, the 18051 model was even better but these two models are more resistant .Probably the most iconic shoe ever with a design unreachable by other trades.Iconic. Ahh… found it… I know the 18050 as the “Nylite”. 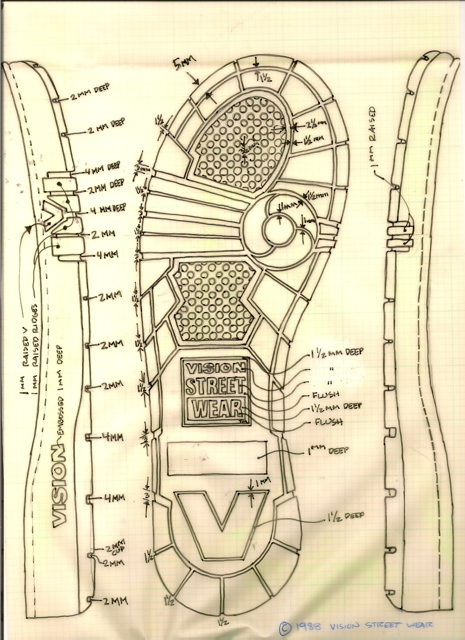 I did that shoe in 1990 or so. Getting old… forgetting the style numbers. Still not certain what the 18051 is though… maybe a revision? Can’t find that number. We were always screwing around with the names… the 14000 and 15000 were originally DV8 (ehem… deviate) and DV9… but then Vision bought a huge computer system for the inventory… and we needed 5 digit style numbers for everything… so we changed the style number to 14000 and 15000. There was even a catalog where 15000’s were mislabeled as 18000’s… oops. too many all nighters. yes,the 18050 (nylite) is what i meant,i have those and i always thought it was older then 14000 and the 15000 but apparently i was wrong!! !the 18051 is the mid top version of the 18050(nylite)and are great as well.now that i know you designed the 18050 and the 18000 (which by the way are my favorites of all time)i congatulate you twice lol!!!!! !you did them all,the classics,you know about the stuff,you should come back and work with vision again.one question.you remember the 15010?they were a 15000 without the lace saver.they are great too. Freaking awesome man! I loved the 18000’s! Had a pair in’92 and would LOVE to get a new pair! Where can I get them? Great job on them, they are my all time favorite kicks I’ve ever had! Can you give me a heads up were to head as I’m prepared to pay good money!! Sorry Shannon… no idea where to find any today. I suspect Ebay is the best hunting ground. Mate, amazing design and so lovely to see that sole plan. 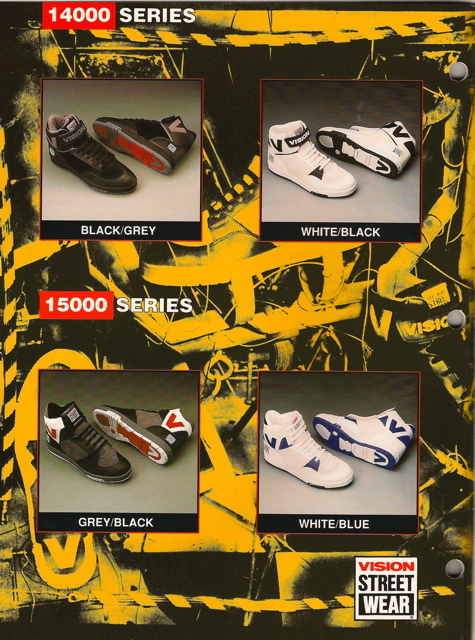 The DV8’s were my favourite shoe back then. I got a pair of the reissued 15000’s a few years ago and never understood why the name had changed til now. Thanks for the memories!